Rock and Roll at Neiman's this weekend! After a long and unplanned hiatus, I am slowly getting back into the swing of things with Adored Austin. When Neiman Marcus asked me to take part of their "Battle of the Blogs" event at their CUSP Fall 2013 festivities this weekend, I jumped at the chance to participate. This was just the motivation I needed to get me back into the habit of getting out in the community and writing again. 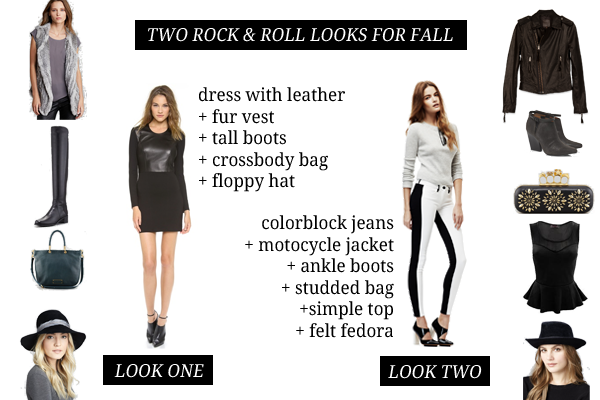 All I had to do was create two rocker chick inspired looks for an in-store display. Easy! Fun! Although the complete outfits are out of my budget for right now, it was extremely important to me that I was able to piece together looks that reflect at least some of my major shopping habits. The hats (which I started with) and the cornerstone garments, had to be made in the USA. I wanted everything else to be made of high quality materials, and I hunted for accessories from brands and designers I respected. It was a challenge, but I did it and I'm quite pleased with the looks themselves. I would absolutely wear both of them! 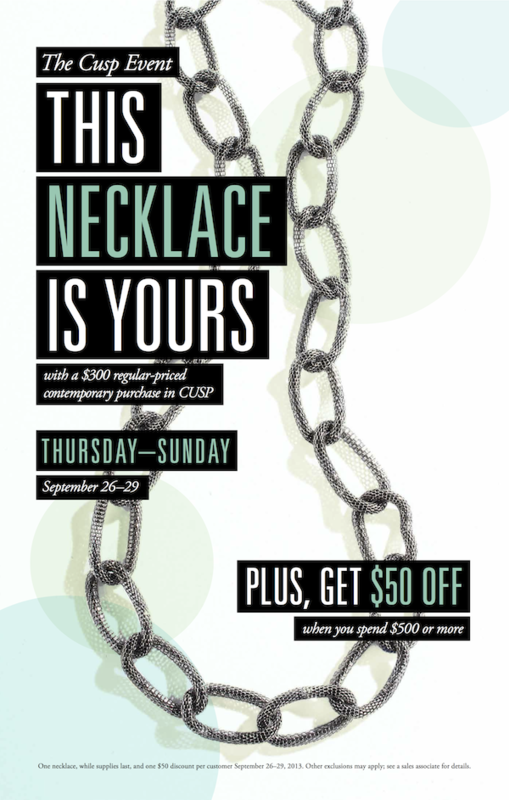 If you have some time this weekend come by The Domain and stop in the Cusp department at Neiman Marcus (second level). This entire weekend Neiman Marcus stores across the country will host music-inspired activities. Today from 2- 5PM in Austin, there will be an in-store DJ, sips and snacks, a beauty bar, glitter tattoos, and a candy apple bar (What?! That sounds awesome!). You can cast your votes for the best dressed mannequins in the Battle of the Blogs (Mine? Maybe! I haven't seen the others!) but even better? You could win a $2500 NM gift card and gifts from VOGUE by coming into the store and uploading your favorite "rocker chic" outfits and tagging them on Instagram. That's right. $2500. You won't have to be fantasy shopping at all. If you win, you could take home your entire favorite look. Talk about rock and roll! No need to RSVP. Just go by anytime today, tomorrow, or Sunday from 2pm- 5pm. I'll be there (with the kiddos) later today around 4:30 PM and then again on Sunday (solo), around 2 PM. Hopefully I'll run into you. Tweet me at @indianaadams and let's say hello and catch up!